In 2002 he grew tired of working on other business's eCommerce websites and started researching the process for starting his own online store. He approached this methodically, first identifying an industry that had a weak online presence and large markups — in this case, jewelry. He then refined his niche through research, including his own observations at jewelry stores. Canning noticed that pearl jewelry was often poorly represented. With this knowledge, Canning arrived at the concept of an online store specializing in jewelry, but his innovations didn't end there. Canning knew he could outsell his competitors if he took the right approach. Of course, part of that was identifying his niche, but the other main part of his strategy was to shorten the supply chain so he could offer top-quality products at a much lower price than his competition. In the traditional jewelry market, raw materials pass through numerous hands before being made into finished pieces and finally reaching the customer. 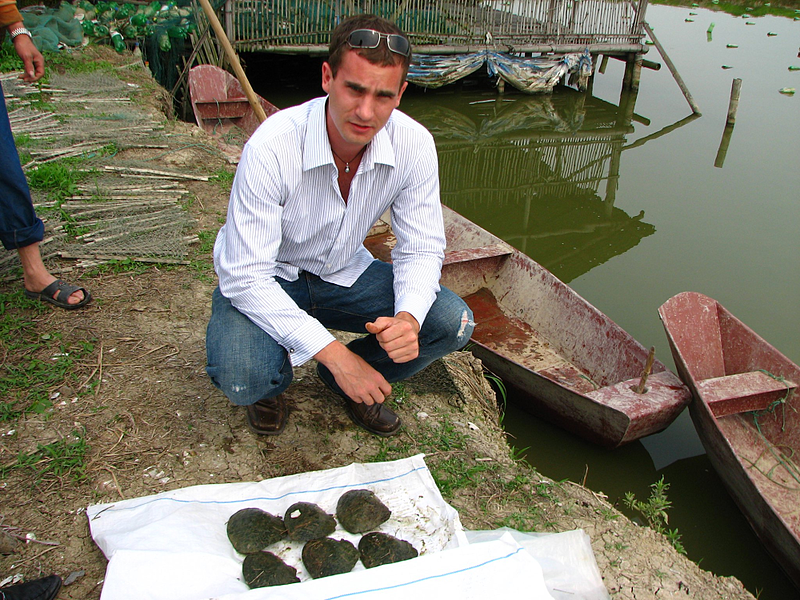 Typically, this involves an initial supplier (in this case, pearl farmers), followed by a manufacturer, then a wholesale distributor, before finally arriving at the retail location. Every one of these middlemen adds a markup to the price, resulting in very expensive products. Canning's strategy with Pearls of Joy was to skip as many of these middlemen as possible by visiting pearl farmers himself, buying from them directly, and making the jewelry back in his Los Angeles headquarters to be sold on the Pearls of Joy website. By eliminating so many steps in the process, Canning eliminated the middlemen's markups and was able to start offering the highest-quality pearl jewelry for 50% to 80% off the usual price. It's a huge risk to buy an expensive item online, like a piece of jewelry, and customers often hesitate to purchase such a luxury product without the opportunity to examine it in person. To help his customers understand the value of the pearl jewelry they were buying, Canning started several initiatives to educate consumers about pearls. In 2004, he co-founded Pearl-Guide.com, the world's largest educational resource about pearls, and he also took part in the creation of the Cultured Pearl Association of America's educational website, Pearls as One. Through these educational endeavors, Canning has made it easy for customers to understand the real value of the pearl jewelry they're interested in purchasing, and he's even made it possible for customers to follow the birth of a piece from its beginnings at the pearl farm, to the moment it arrives in their home. This understanding makes customers cherish their pearl jewelry all the more. Pearls of Joy moved to 3dcart in 2010 after trying unsuccessfully to use several other eCommerce platforms, including Magento, WooCommerce, and Shopify. Canning found these other platforms too restrictive in several ways. "3dcart offered a platform that I could make my own. It allowed me the flexibility to implement the designs and strategies I needed to grow my business," he says. "The flexibility to customize has been essential for Pearls of Joy. I test and customize everything and most other platforms are either a nightmare to work with, or simply won’t let you customize certain elements." 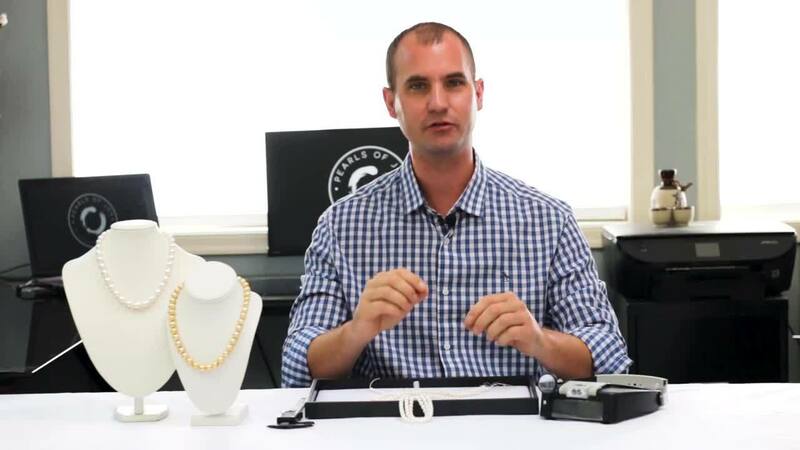 Canning calls his decision to use 3dcart "a no-brainer," and his favorite features include the SEO-friendly URL structure, the built-in product review module (a must for any store selling high-ticket items), and the overall friendliness to customization which allowed him to create the perfect jewelry ecommerce website. He's also thankful for FraudWatch, a 3dcart app that analyzes orders across 12 indicators that represent common traits of fraudulent purchases. FraudWatch has saved Pearls of Joy thousands of dollars by identifying potentially-fraudulent orders before they can go through. 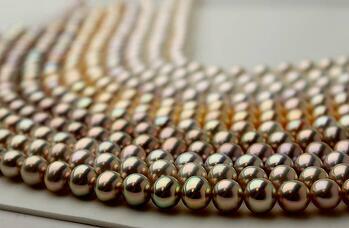 Pearls of Joy has truly made a name for itself as the premier supplier of beautiful, top-quality pearl jewelry. Canning has been featured in print and television media, and Pearls of Joy has created pearl jewelry for films and TV — truly a mark that a company has been recognized as an authority in its field. Canning says things are only getting better for Pearls of Joy: "Pearls of Joy has tremendous momentum and I have no plans on taking the foot off the gas. I believe within 5 years we can make our competition completely irrelevant and I plan on breaking the 8-figure mark." The story of Pearls of Joy, from its birth as an idea to its million-dollar sales, serves as a fantastic example of what can be accomplished with a good business strategy and a well-chosen niche. For more in-depth information on Pearls of Joy and its outstanding success story, visit our full-length Pearls of Joy Success Story.